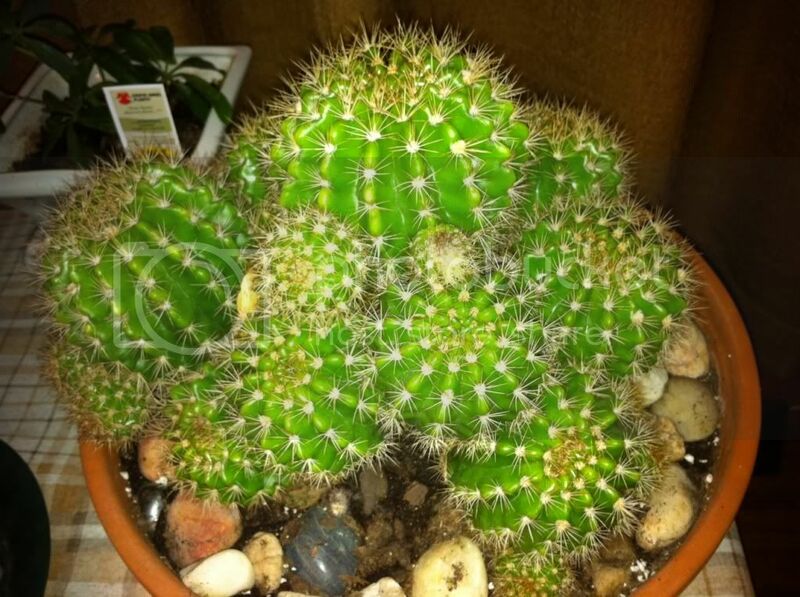 I've had this cactus for about 4 years now and I'm not sure what it is. It's some kind of barrel cactus, but the needles are smaller and softer than others I've seen. It started out as just 1, but quickly sprouted many many smaller barrels. I've probably gotten a half dozen pups and several cuttings from it. It's about 6 inches tall now and has large white flowers on stalks over 6 inches long. If I can find the pics of the flowers, I'll put them up. No big hurry, just wondering what I've got. Thanks for any help. I guess I should also add that the flowers are not confined to the top center of the barrels. They come from the sides more often than not. Also, there are multiple flowers/stalks at once, even on a single barrel. Every time I think I find something it could be the flowers are never anywhere near what happens with this one - they are usually red, yellow, or pink with minimal stalks and/or concentrated around the top of the barrel. I dig around now and then, but so far have not been able to find a complete match. Thanks again for the help. 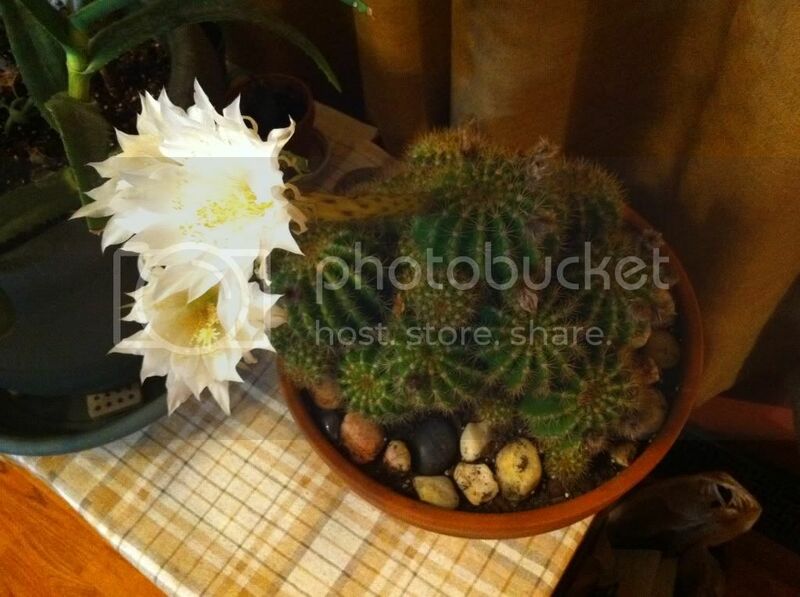 Edit: May have come across a lead, something in the echinopsis genus maybe? that's the closest I've been able to find yet. I'd have to see the pics of the flowers, before I could make a guess. 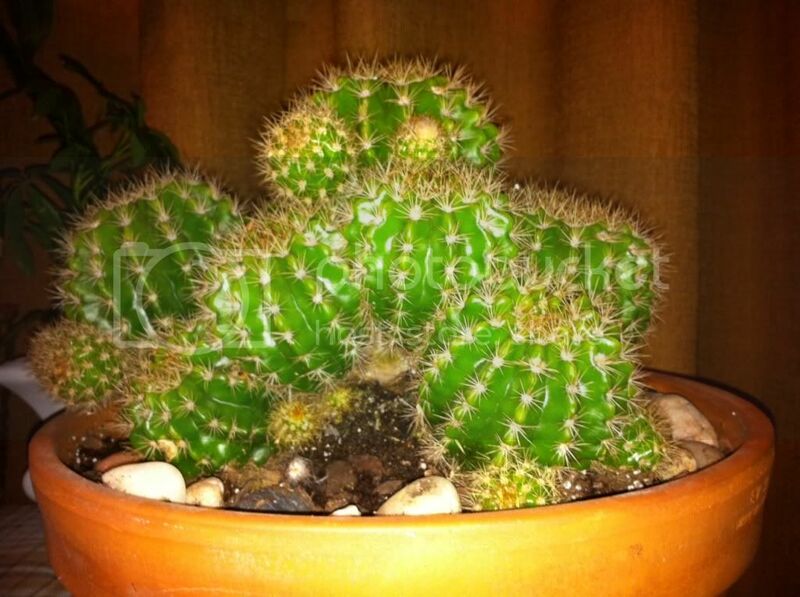 Nice little cactus, though. Looks healthy and well-cared for! Thanks for the compliment! I'll dig around for the flower pics this afternoon. The flowers usually last about a day or so once they've bloomed, and they are very lightly scented. Very lovely plant. Don't know the name but I've seen them but not as nice as this one. That green color is so vibrant. They multiplied so evenly. 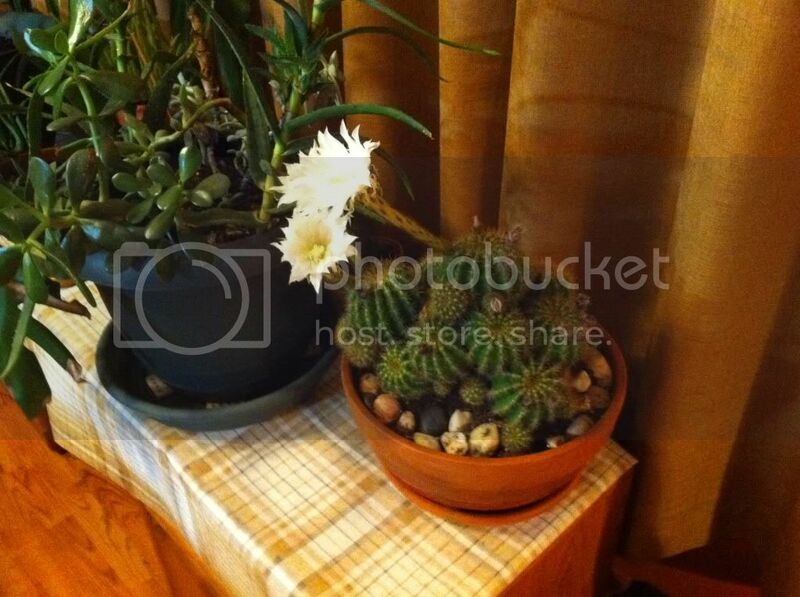 I also have 2 old cacti which grows flowers but they die within a week and more come in. The flowers on this last about a day once they've bloomed. It only started blooming in the last 2 years. First time, there was only a couple. Last year, there were quite a few. I keep it outside when the temp is above 70, and it seems to love it. 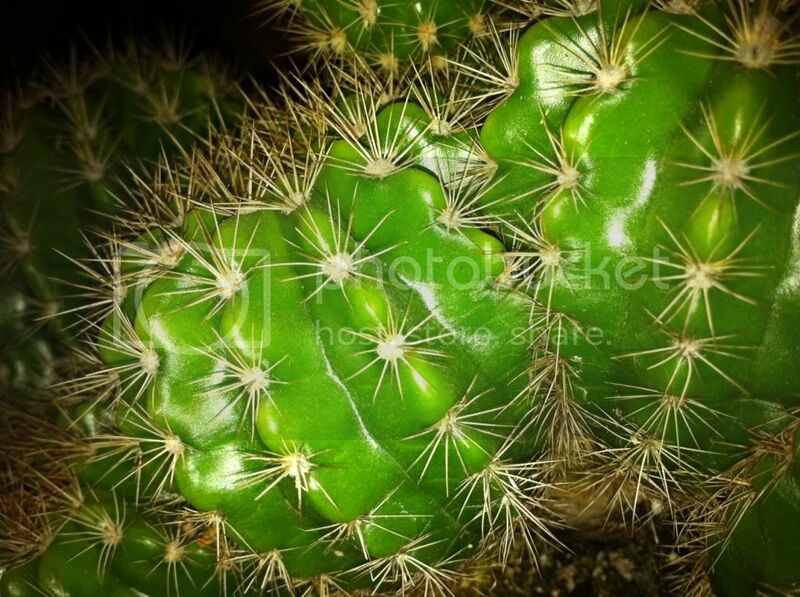 "The only cactus genus that is more confusing than Echinopsis is that of Opuntia. In both cases, there is a great number of species (over 100) and a tremendous amount of variation... The main factor that ties these plants together are their very large, showy flowers. These flowers are all very similar in structure Ã¢â‚¬â€œ funnel shaped, with hairy/wooly scaled floral tubes... The flowers seldom last more than a single day and may be diurnal or nocturnal depending on the species. These species hybridize easily and have resulted in a tremendous number of hybrids..."
Given the description of echinopsis, that may be as far as I get. C'est la vie.